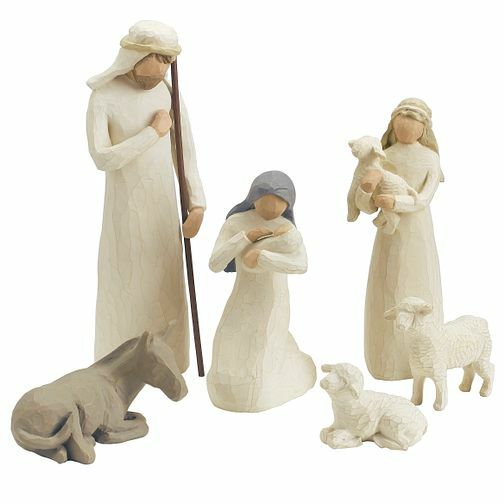 A beautiful, calming scene from the Willow Tree range depicting characters from the nativity. Willow Tree Nativity Figurine Set is rated 4.9 out of 5 by 53. Rated 5 out of 5 by Anonymous from Excellent Bought at end of January & such a good deal. Very pleased & cannot wait until December. Rated 5 out of 5 by Anonymous from Delightful figurines I was very pleased with my purchase of a Willow Tree Nativity which arrived in a timely fashioned and expertly wrapped.